We know that there is a lot involved in getting married, here are some answers to the most commonly asked questions. We are ordained Interfaith Ministers and Doctors of Religious Humanities. 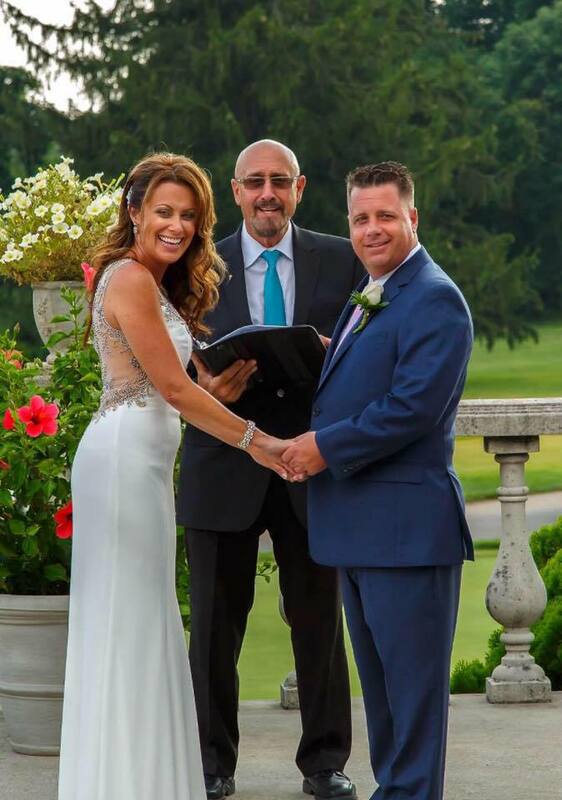 We are fully licensed and qualified to perform all types of ceremonies anywhere in the United States. Once we decide we want you to do our wedding, how do we proceed? After we have had our initial consultation and you decide we are a great match, just sign the short one page contract, place a small deposit and you will have a copy of a possible ceremony to go over. We will have it in a Word Document so we can go over it together. 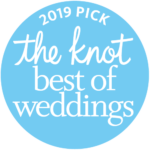 Your date for both the wedding and the rehearsal will be “on the books” and we will stay in contact going over details up until the very moment we “pronounce” you. What would happen if you can not perform my ceremony due to an emergency? Once we have met and signed our contract, it is our duty to be there and we consider this a trust. 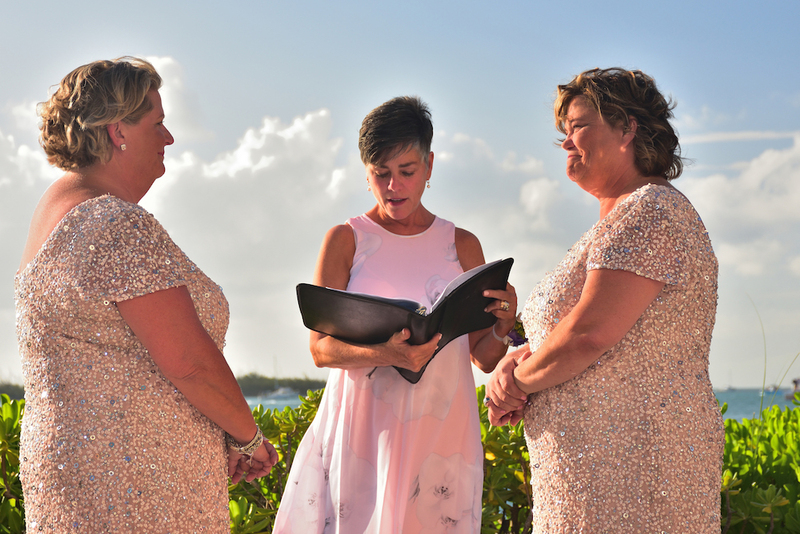 We work closely with Associate Ministers, so even in the event of an emergency, we would be able to provide a very well qualified Officiant to perform your ceremony. Like any professional, we keep ourselves in top shape and consider every service top priority. Can we get married in a church if we don’t belong to one? Yes, most churches will welcome you. There are different rules or procedures for every church. Contact the church and ask them and then set up an appointment if necessary. There is often a fee included. How long is the average wedding ceremony? 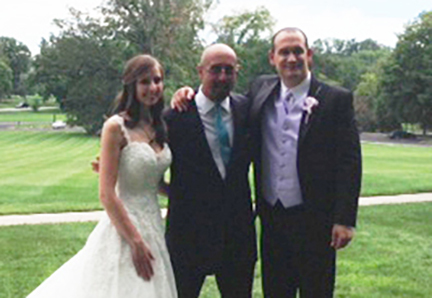 Most ceremonies are between 15-30 minutes, depending on what the couple wants to include in the ceremony. The length of the ceremony varies depending on what you include. 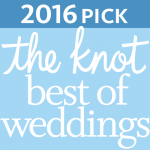 We will be happy to go over all ceremony options with you and welcome your ideas. Readings, gifts to mothers or children, inclusion of special touches such as a sand ceremony or unity candles, and many other options. The length is determined by the number of people in the wedding party and even music selections. How do I go about changing my name after we are married? We will give you a sheet of name change information in your folder the day we have our free consultation. Social Security has a rule that the bride must file an SS-5 form (a new application form showing change of name and /or marital status) within the fiscal year for tax purposes, (The SS-5 form should be filed, even if you are keeping your own name) along with an original proof of marriage if you have been married before. Check with Social Security first, to make sure you arrive with exactly what they need. It is likely that they will they just look at it and return it to you. Don’t take a day off from work to go to the Motor Vehicle Bureau and any of the other place until you have an original marriage certificate in hand. Please tell us where you are getting married and we can tell you where to go to obtain your license, as well as what you will need to bring with you to the Clerk Of Courts. Can the ceremony and reception be held in the same location? No matter where you wedding is, we will make a beautiful ceremony. 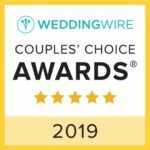 We can officiate weddings wherever you want to get married, including churches, reception halls, parks, outdoors, or even at your home. Most often, the ceremony IS held at the reception site. Is pre-marital counseling a requirement? No, it is not. However, if you want to meet and discuss any issues pertaining to your upcoming marriage, we are glad to meet with you. We do offer a free consultation to get to know you and begin the process. Do we need to have a rehearsal? 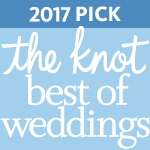 A rehearsal is not an absolute necessity, however, most couples feel more comfortable on their wedding day if they have rehearsed. 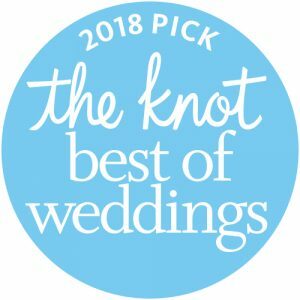 If this is not an option, there are numerous steps that we do with every couple that will make you feel at ease such as: Early arrival to the wedding site, usually one hour before the wedding begins, so that we can go over anything that needs to be addressed Your pre-approved wedding script is with us and every word has been finalized prior to the wedding da. .We will meet with the site coordinator and the DJ or musicians prior to the ceremony to go over all cues. We will address any and every question that arises throughout the planning stages.